Taxes can become costly and they continue to pile up every day. This is why people try to come up with ways to avoid paying taxes legally everyday. One way is by letting your employer directly pay your mortgage for you. Where your employer allows you to salary sacrifice by doing this, you are going to pay less taxes as your gross income is going to be lower. This is because the money that you ask your employer to directly pay to your mortgage repayments will no longer be considered as part of your income. However there can be a problem with this, as although you will be paying less taxes, your employer will still be required to pay fringe benefits tax, unless your employer is considered to be an exempt body. For this reason it may be difficult for you to convince your employer to allow you to salary sacrifice when they will end up spending more. This should not be the case if your employer is an exempt entity as they do not need to pay the taxes on your fringe benefits. There are also other ways to use this as a tax shield. One way is through superannuation. This means that your salary is reduced by the amount you would like, and it is instead paid to the superfund in anticipation of your retirement. This effectively reduces your gross income by the amount that you put into the superfund, and assures you of a little more to spend when you retire. Another way to use this salary sacrifice is to ask for a certain benefit instead of asking for cash. Due to this fact it is possible to ask for a car to drive, or a computer to use, or various other items you would like to purchase on a regular basis in exchange for a lower gross salary. However, employers are careful about these types of salary sacrifice as they may be made liable for additional taxes that could cost them more in the long run. Those with expertise in home loans can show you the correct steps to be taken in order to use this as a salary sacrifice mortgage in order to help you better afford your home. They can show you the best way to convince your employer to make the home loan repayments and come up with a win-win situation for both parties. People work hard to earn their keep, in fact some work as much as 16 hours daily or work 36 hours before taking a break. This is usually due to overtime, and lack of personnel to do their jobs. Overtime for those in the health sector, law enforcement, and the emergency department, find it to be very common and is part of their daily life. This means that they earn a lot more than their basic salary because of the overtime that they get. The problem is that when they apply for home loans, often their overtime income is either not at all recognized or only partially recognized. For these workers it is not fair to recognize only a portion of their overtime income, but the overtime income should be credited 100%. However, this is not how some banks and lenders think. These lending institutions think that overtime is not regular income and should not be credited and added to the income earned in a possible loan application. This is because if overtime is recognized they will be taking undue risk in something that they cannot be sure of. Thankfully, not all banks and lenders refuse to recognise overtime income. There are several lenders out there who are willing to recognise your overtime income as long as it is regular enough. There are likewise some classes of employment wherein overtime income is immediately recognised. It is just and fair to include the money earned from overtime to be added to the facts in the loan application. The same work, or often harder work is done during overtime, and people are more fatigued and tired doing overtime work as it is beyond their usual work hours. To deny them their right to get a loan would be the height of injustice. For more information on overtime income and how to get 100% of your overtime recognised it would be best to consult the experts on home loans. They can provide you with the proper information on how to get your overtime income recognised entirely, and hence, enable access to bigger and better loans. Nearly all people need to work and earn, join the rat race, it is a continuous process of needing to fuel the need to survive. For those who are fresh graduates, and are looking for a new job, they tend to seek the help of agencies to provide them with good, high earning employment, which may be on a project basis at first, then develop into a regular job. 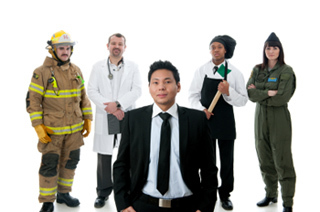 However, for those who rely on agencies to find their jobs, these types and forms of jobs are often temporary. Although they can be considered to be only temporary earnings, they turn out to be generally beneficial, and projects are abundant. This is especially true for mining, IT and healthcare jobs, which are in constant demand. When these temp or agency workers try to apply for a loan, the story may be different from those who are regularly employed. Those who are regularly employed with a stable job and constant income have it easy, and often get the best loans available as long as they provide the correct documentation and they keep their credit scores in check. Temp or agency workers on the other hand are a different story. Banks and lenders often see these types of workers as too risky to grant a home loan to. Because of the possibility that they lose their income flow after a certain project, they are not the best candidates for home loans. This does not mean that it is impossible for them to have a loan approved. There are a handful of lenders out there that are willing to grant a home loan to temp or agency workers. For more information on loans for temp or agency workers it would be best to consult the experts on home loans. They can direct you to the lenders who are most likely to grant your home loan and can advise you as to what particular requirements to prepare in order to get the loan approved. Every person has a specialization and has a skill that he or she is good in. These personal skills are usually the reason why they get hired in the first place. The job may be a menial job, a job at a company, self-employment, project based jobs, seasonal jobs, and a lot of other options. Different jobs of course mean different modes of payment. For most employees, payslips are common and these provide the necessary information on how much income is received, any previous loans made, the status of the loans and similarly related items. Payslips are often required by banks and lenders in order to approve different types of loans. In order to avoid risk, they need a basis for granting their loan products, and the easiest way to assess these loan products is by requesting for payslips from those who receive them. A problem then arises when those who are employed do not receive payslips. Where there are no payslips to present, it becomes difficult to get approval for the loan as banks have no basis whatsoever for granting the loan. However there are ways to prove that you indeed receive income and that you are employed. The most common way is through an employment letter from your employer. You may also choose to provide tax certificates or group certificates as proof of income. For those who have property holdings, it is also possible to present the property’s assessment value you can also likewise present salary credits. The more documents you can present, even without the existence of payslips, the more likely that your loan will be granted. For more information on how to get a home loan without the use of payslips, it would be best to consult the experts on home loans. They can provide you with the necessary information and advice, as to which documents may be acceptable to a particular lender or bank in order to enable you to have your no payslips home loan approved as soon as possible. Each and every person has a right to earn income. This is part of the basic right to survive and to earn your keep. However, because of the diversity of skills and talents that people have, some cannot work or work better outside the common workplace. Sometimes their jobs entail special skills that often are not clearly documented. This means that they may be earning a fairly large amount of money, but they have no shred of proof of these earnings. Due to the fact that they cannot provide any documentation whatsoever, these people often get a bad deal or have a hard time finding a bank or lender who is willing to grant their home loan. The sad thing about this is that they may be earning much more than the regular employee, yet they have no access to loans. They may have an unusual jobs, but they should have a right to a roof above their head too. Fortunately there are a handful of banks and lenders who are willing to take a risk and lend these people money in order to enable them to buy their dream homes. They deserve as much as they work hard for their money. The only drawback is that because of the lack of the common documents to assess the risk that banks usually take, it is to be expected that they will charge interest rates that are a bit higher than usual. Of course the banks and lenders cannot be blamed as they have a right to protect their own interests as well. For those employed who work unusual jobs, it would be best to consult the home loan experts with respect to possible loans. They can direct you to the particular lenders who are willing to grant loans despite the fact that your source of income and job is different from most. Times are difficult and money is not that easy to come by. Hence, it is not uncommon to find people working two or even three jobs to make ends meet, or to have more to spend on daily necessities. However, this does not immediately mean that banks and lenders will recognize your second income when you apply for a home loan. This may seem unfair, but oftentimes banks and lenders would really like to minimize risks, and see these second jobs as an unreliable source of income. Because of this fact, they simply disregard all your hard work and effort, and fail to recognize any of the extra income that you gain from your second job. But thankfully, not all banks and lenders think this way. There are banks and lenders out there who are willing to recognize your income from your second job. This means that you are eligible for a higher loan amount, since your income to service the loan is now significantly larger. The problem often faced by borrowers is how to find these banks and lenders willing to recognize your additional income. Generally the usual way is to make a call to the bank or lender and ask them if they will recognize your second income. Then they will ask for some documents and papers to evaluate your situation. Imagine doing this for each and every bank. An easier option would be to consult the experts on loans. They can guide and assist you in finding the bank or lender who is readily willing to accept and recognize all the hard work you put into your second job. This will save you time, money, and effort in finding the right lender. With their help it is very probable that your second job loan can be granted.